Counselling, Psychotherapy, EMDR & CBT Therapy (trauma + anxiety therapy). Clinical Supervision. – Counsellor/Psychotherapist, EMDR/CBT Therapist & competent Clinical Supervisor centrally located within easy reach of East, Croydon, South Croydon, West Croydon, South Norwood, & Beckenham. Hello and thank you for visiting my website. My name is Ana Cox and I am a fully qualified Counsellor & Psychotherapist registered and accredited by the BACP. I work in Croydon and the surrounding areas providing confidential counselling to both adults and young people. I also work as a Clinical Supervisor with student counsellors, qualified counsellors, life coaches, youth workers, social workers, and those in other helping professions. My research interests are cultural/bicultural identity development, multiculturalism, and also trauma & memory. I am a qualified EMDR therapist and since February 2017 have been successfully working using EMDR to work with clients experiencing trauma (both childhood trauma and adult trauma), depression, anxiety, pain, phobias and panic disorder. The use of EMDR has been recommended by the Department of Health’s National Institute of Health and Clinical Excellence (NICE) in the guidelines they issued on Post Traumatic Stress Disorder in 2005. I have a mixed heritage English/Mexican background and am able to conduct counselling in Spanish. 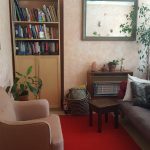 My practice room where I offer counselling is in East Croydon very close to East Croydon Station and has a warm and welcoming feel to it providing you with a calm space in which to explore what is going on for you. I appreciate how big a step it is to reach out to a counsellor and with that in mind I aim to offer you a session as soon as possible. If you do not receive a reply from me within 24 hours please check your spam box or call me. I am a fully Registered Accredited Member of the BACP (British Association for Counselling & Psychotherapy) and also am a recognised member of the EMDR Association UK & Ireland, UK Psychological Trauma society (UKPTS), and ISPS UK (International Society for Psychological and Social Approaches to Psychosis). Membership of these professional bodies means that I abide by strict Codes of Ethics and professional practice and keep my training/professional development up to date. You can be assured of the highest standards of discretion and confidentiality. I take my responsibility for looking after information seriously and am registered with the Information Commissioner’s Office (ICO). I follow General Data Protection Regulations (GDPR) at all times when asking for or handling your information. I work within the spirit and the practice of the Equality Act 2010, promoting a culture of respect and dignity, and embracing principles of diversity and inclusivity. Aside from my work with private clients I accept referrals from GPs and other health and social care professionals. 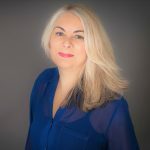 I am experienced in providing the following services for the Croydon area: Counselling, CBT and EMDR, for private companies, EAPs, Insurance Companies, and Solicitors. I am also a Registered Provider and Associate Counsellor for several Employee Assistance Programmes (EAPs). Please feel free to contact me to access counselling through your EAP or pass my details on to them when contacting their dedicated helpline.